U.S. Rep. Jan Schakowsky (D-Ill.) speaks at an event in January. Schakowsky was one of several Illinois representatives and candidates who spoke at an Evanston town hall Monday. About 200 Evanston residents gathered at the Fleetwood-Jourdain Community Center Monday night for a town hall on immigration hosted by the Democratic Party of Evanston. Speakers included U.S. Rep. Jan Schakowsky (D-Ill.), candidate for Illinois Attorney General and State Sen. Kwame Raoul (D-Chicago) and Jennifer Gong-Gershowitz, immigration attorney and candidate for Illinois State House, district 17. The town hall focused on the current immigration process under President Donald Trump’s administration and the separation of children from their families at US borders. Under the Justice Department’s “zero-tolerance policy,” all those who enter the country without legal documents will be prosecuted. Public outrage at the policy, which often resulted in family separations, led to marches around the country Saturday morning, including one in Chicago that saw more than 50,000 in attendance. Greg Andrus, DPOE political committee co-chair, helped coordinate the town hall. He said his goal was to give Evanston community members the tools and information they needed to help immigrants. 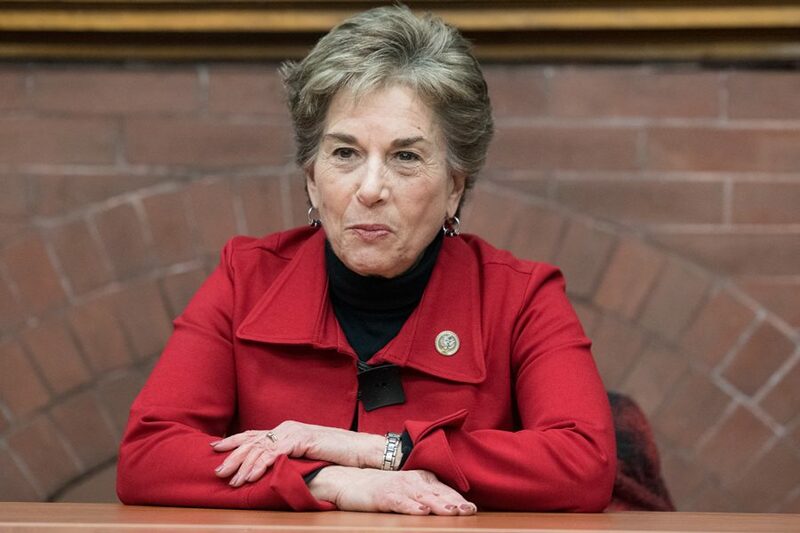 Schakowsky spoke first, recapping recent events regarding immigration — from Trump’s initial travel ban on several Muslim-majority countries to the latest revelation that immigrant families have been separated at the border. She emphasized the status of many immigrants as asylum seekers and called the audience to action. Gong-Gershowitz stressed the difference between immigration policy and immigration law, the former of which is not legally binding. She also broadly explained what happens when a child is detained. Once labeled “unaccompanied,” those children are placed in a different system from other immigrants, making it more difficult to keep track of their parents, she added. Gong-Gershowitz also expressed doubt that the Trump administration would be able to reunite families within two weeks, as a judge ordered earlier this week. She said many of the parents of detained children may be in criminal detention, from which it would likely take longer than two weeks to be released. Raoul spoke last, spending most of his time emphasizing the importance of legal positions such as that of the attorney general, especially in light of Supreme Court Justice Anthony Kennedy’s retirement. He called judicial roles “a last line of defense” against legislation harmful to immigrants, the environment and women’s healthcare, among other topics. Raoul also said the Trump administration’s treatment of immigrants is “inhumane” and “un-American,” a sentiment that elicited applause from the audience. After the speeches, community members were given the chance to ask questions. Some residents expressed their own views on possible solutions to the family separations. Other attendees, like Evanston resident Karen Kring, were unsatisfied by the town hall. Kring said she would have liked a comprehensive list of attorneys and legislators working for immigrants and asylum seekers as well as all the lawsuits being filed against the Trump administration. She also said she wanted to see “more of a pushback” from Democratic legislators. Gong-Gershowitz said the most important thing now, after protesting and voting, is to stay alert.